For the most part, we were born innocent, curious and fully expressed. At the same time, we did not have the capacity to reason or to make decisions for ourselves. Our survival depended on other people meeting our needs and making choices for us. We were told what to do and how to act. We learned actions and words that either worked or didn’t work to for us to experience our deep longing for love, acceptance, approval and a sense of belonging. We interpreted what we witnessed in the external world with a limited vocabulary and emotional maturity. We were trying to have it all make sense while finding our way at the same time.We were not equipped to process the messages, emotions, interpretations, judgments and filters that we observed and experienced with our families, friends, teachers and life situations. We didn’t know what we didn’t know. What we often experienced was “not enough”. The more lack we felt, the more confused and complex it became. We made up the story up that we weren’t getting what we wanted because there was something wrong with us. We took in all of the messages, filters and stories and made them mean it was our fault, we were bad, we were different, we didn’t fit in, we weren’t good enough and that had us suffer. The suffering in our interpretations of ourselves and our lives had us believe that it was no longer safe to demonstrate certain qualities. Those judged qualities are our shadows. We hid and disowned those qualities because they no longer got us what we wanted or needed. By doing that, we lost our sense of wonder, curiosity, passion and creativity. We built layers of protection to feel safe from the external world. Our confusion, fear and pain for what we were experiencing had us give up on our needs and wants. Convinced that we didn’t matter we focused our attention on the needs and wants of others. Our survival then became pretending to be the person others wanted us to be. We settled for whatever we could get from the external world in hopes that it would fill the hole of our inner world. We are finding out that the masks we wear are empty and tiring. They are no longer working. We have lost our authenticity. In an attempt to feel better about ourselves, we judged and blamed others for the same qualities we hid and disowned in ourselves. All of this leads to further disconnection from ourselves and others. This course is designed to restore the resources and understanding that was not available to you as you took on the suffering, limiting beliefs and self-sabotaging behaviors. You will marvel at the possibilities that are available when you experience freedom and forgiveness for your past. This is a groundbreaking and innovative exploration into the light and dark sides of our human experience. This work connects the dots and is at the root of all human relationships. Especially the relationship with yourself. It is hard to put into words the profound impact understanding and practicing shadow work can have in every area of your life. Price: $395 - Price includes one individualized follow up coaching session. 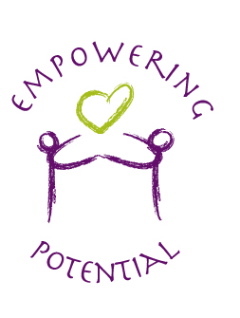 For more information, Call 985-860-8861, or contact me by email at denise@empoweringpotential.com.